I planned a quiet weekend, with time to work on a design that is proving tricky. But things don’t always go to plan, and I find that leaving a tricky problem at the back of my mind and getting on with other things is the best way to solve it. Somehow the little grey cells keep on working on it in the background. I still need to give it a final blocking, and then I need to decide where to display it. 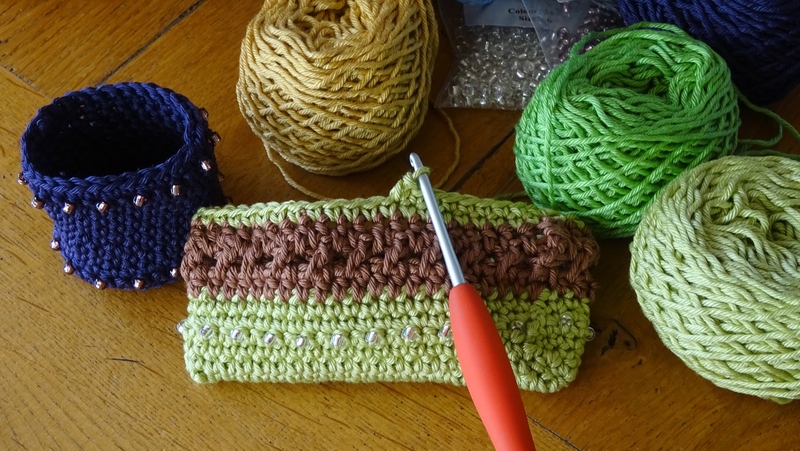 I have yarn leftover from this project, in small quantities, and some beads. So today I spent an hour doing a few little crochet ‘doodles’. 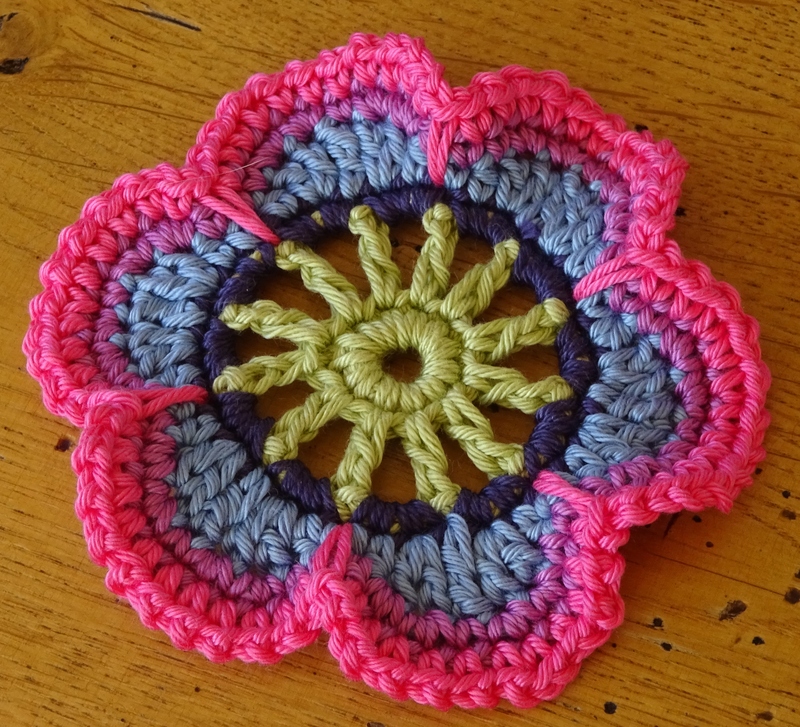 The end result – first the Leilani flower, which was a tester for the blanket and I decided not to make it until the blanket was finished. Then a small trinket pot. 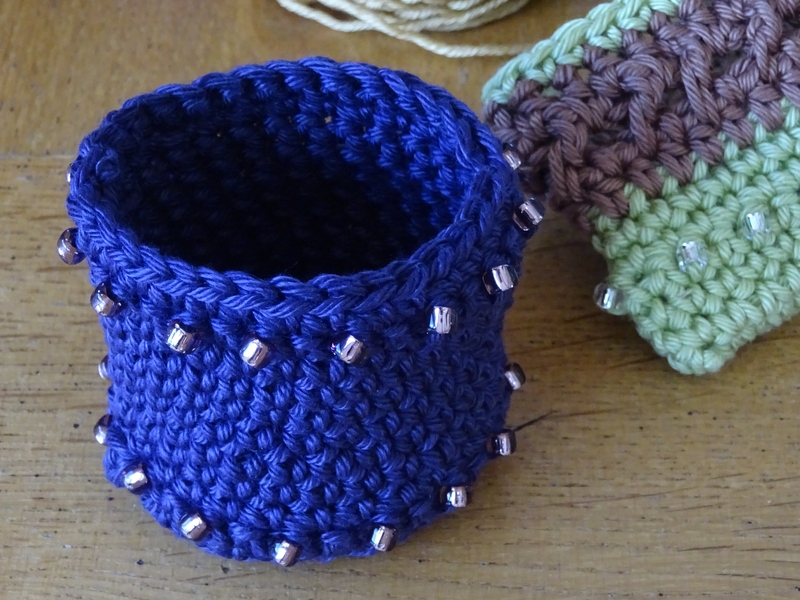 And finally I am working on a small textured and beaded bag/pouch, seen here with the pot. I hope you have had a productive weekend. 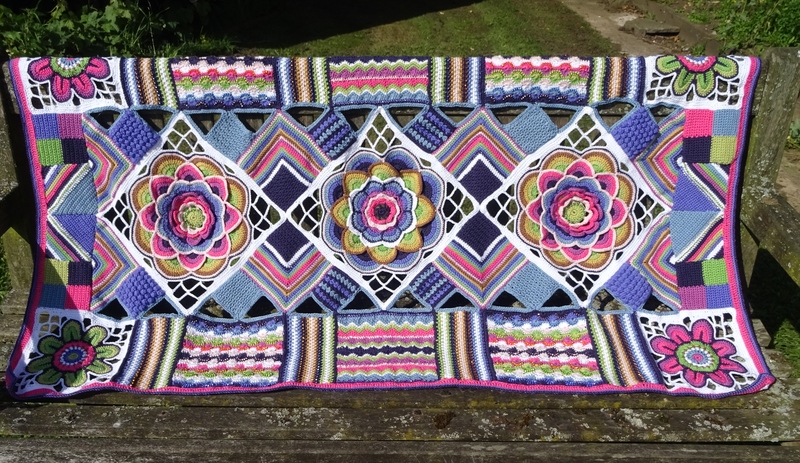 The Mystery Blanket is beautiful! Well done!